All the heat in summer makes us want to have our hair far from our shoulders and we instantly wrap it in a bun or pull it in a ponytail. But, if you’re the kind of person who likes having nice hairstyles that don’t include having our hair down and styled, you know the wonderful feeling of messy boho waves or fishtail braid twists. Below you will find ten hairstyles for short bob to longer hair lengths, it’s just up to you to scroll along and to see which one fits you and your needs the best! Adding scarf to a hairstyle can be a really cool accessory, especially if it’s summer! There is something so chic and charming that would make any hairstyle look way better, even if your hair isn’t looking its best. No matter your hair length, you can use the scarf for your hairstyle. In this case, you can make a chignon – tease your hair, put it in a ponytail, twist it into a bun and secure it with bobby pins and hair tie. Loose beach waves are one of the best boho hairstyles that you can use for every occasion. They are messy, yet still so elegant and very easy to achieve. For this look, you need a curling iron or you can even use hair straightener, but if you haven’t made curls with a straightener so far, it’s best to start with curling iron. This might take some time, depending on your hair length. If you’re looking for a hairstyle that’s both chic and elegant, then we definitely recommend you this one. It’s suitable for all kinds of occasion, especially festivals! 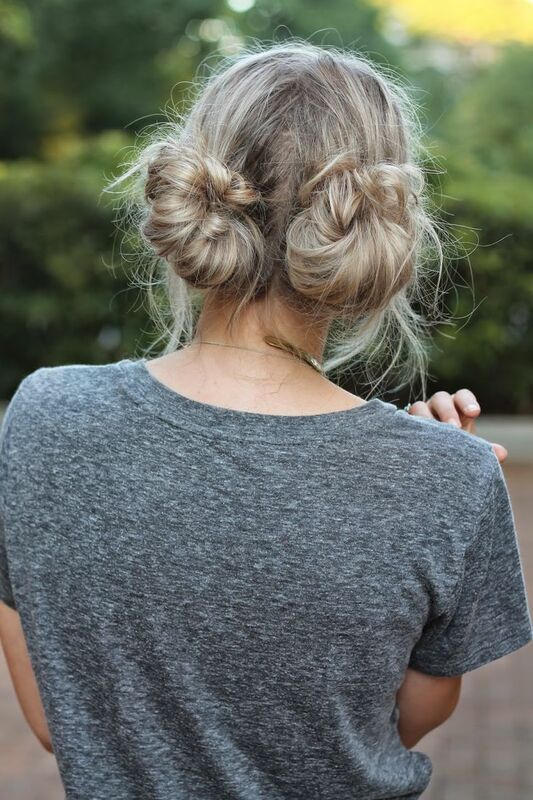 For this look, all you need is bobby pins, curling iron, hair tie and to know how to braid your hair. You can leave it flat and messy, but there is certain charm in the whole hairstyle if there are curls involved! Wow, right? This hairstyle took our breath away and made us wish our hair was longer. You can try it out even if your hair is shorter, but the longer it is, the better it looks. The double twisted fishtail is such an elegant hairstyle, that you can even consider it for a wedding hairstyle if you’re into boho and braids stuff. If you already know how to do fishtail braid, you won’t need any help – it might take some time though. 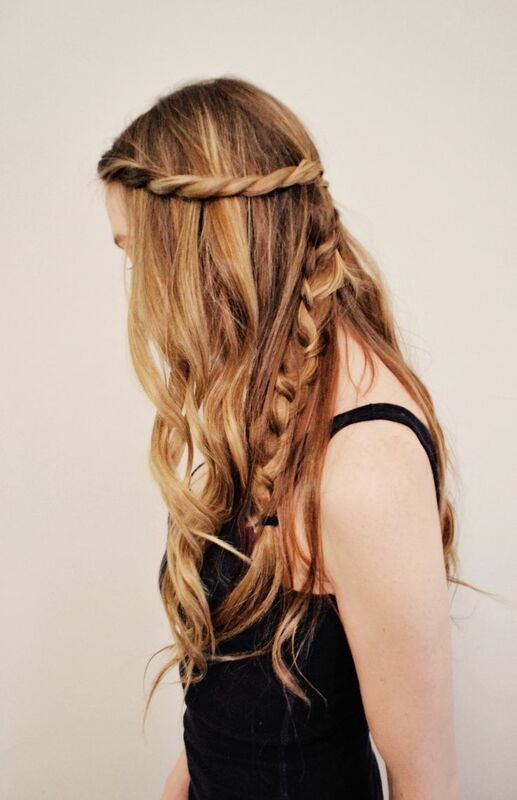 Here’s another hairstyle that is ideal for long hair! It’s the fishtail braid again, but a little bit modified. It’s not hard to achieve this look, especially if you’re already good at making fishtail braids. 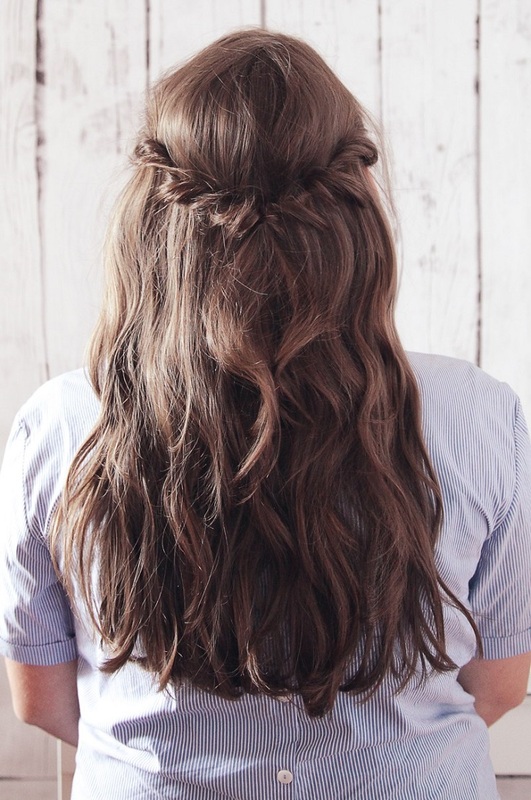 This hairstyle looks amazing for any day, not just summer days, however when it comes to occasions, it’s most suitable for festivals and other casual occasions. 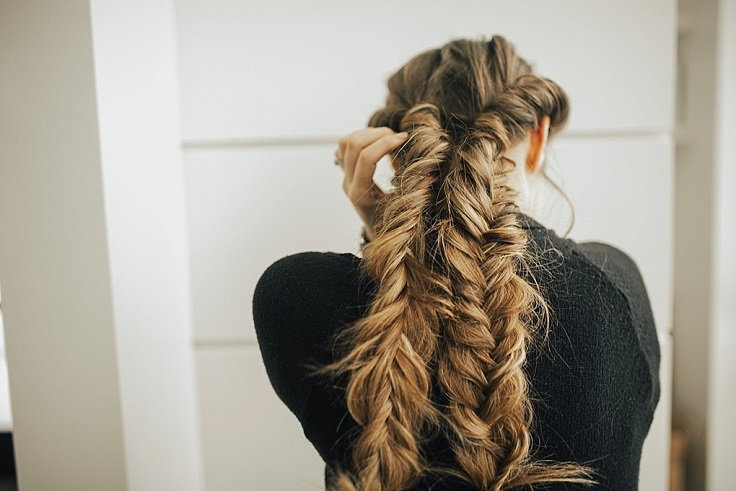 The half – up twists are similar to the twisted crown braid, except that it’s a little bit easier – you don’t have to braid. It works the best on second day hair, but you can try it anytime. For this look, first you’ll need to make soft waves with a ticker curling wand and then move on to forming the twists and pulling them apart just a little bit to achieve a messy look. Any Game of Thrones fans here? Even if you aren’t, you can’t deny the fact that this hairstyle inspired by the character Daenerys looks awesome! It’s amazing how many different hairstyles you can make with braid and still all of them will look so good. For this look it’s all about the braids, if you want to you can curl your hair to add extra volume. When you combine two very popular and adorable hairstyles into one, this is what you get. This is an amazing idea if you’re tired of the usual hairstyles and you need something rather new, especially if you’re into both buns and pigtails. This hairstyles works the best on second and third day hair, as it gives more textures and helps into holding the hair better into buns. 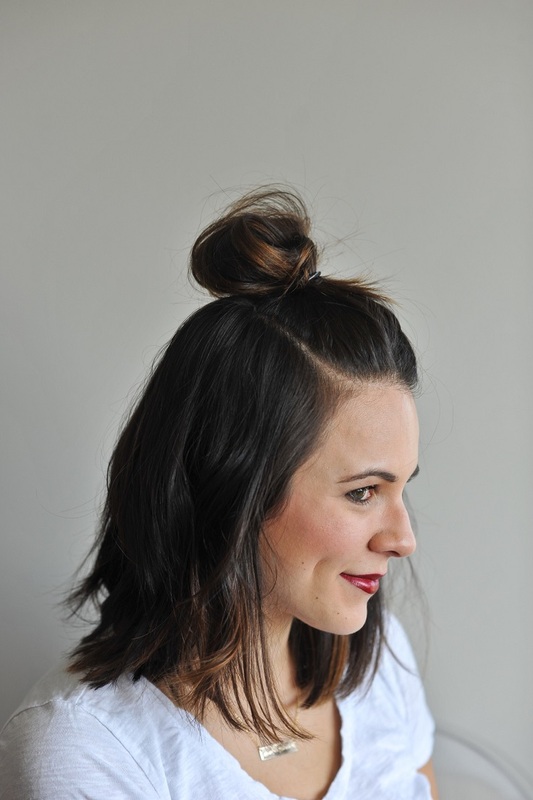 The half top knot is the hairstyle that got very popular in the past few seasons, and we can totally see why – it’s very casual and chic, it’s very easy to make it and works on almost every hair length – except for short ones. So, first things first, you can make soft waves to add extra volume and go on with the top knot part. It’s very easy to achieve this look – after few tries you’ll be ready to go out! 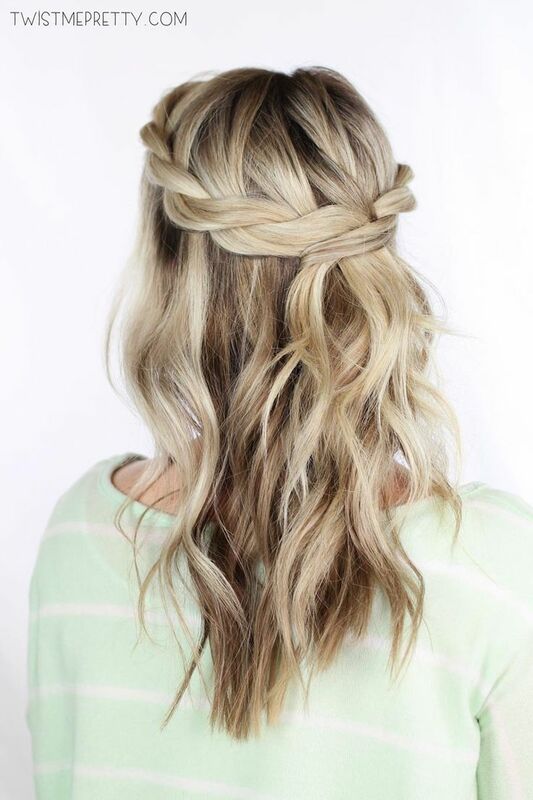 This hairstyle is oh-so-boho and it’s perfect for beach days or festivals! Although, if you can then definitely wear it even more often than that! The hairstyle works for almost all hair lengths, from short bob hairstyle to long hair. The hey to achieving this look is to leave your hair messy and wavy and then wrap a bandana around it.